Losing 30 pounds in 12 weeks is a difficult and yet realistic goal. A healthy weight-loss rate is 1 to 2 pounds per week. By incorporating vigorous and consistent workouts into your daily routine and making specific eating adjustments, you can at least come close to losing 30 pounds in 12 weeks. To lose weight, every day you must create a calorie deficit, burning more calories throughout the day than you consume. Concentrate on the day-to-day steps to your weight-loss goal. Step on a scale on the same day every week. Pick a day of the week, and always weigh yourself that morning. Weighing yourself regularly keeps you motivated as you see progress, and it makes you more accountable as you make exercise and eating choices throughout the week. 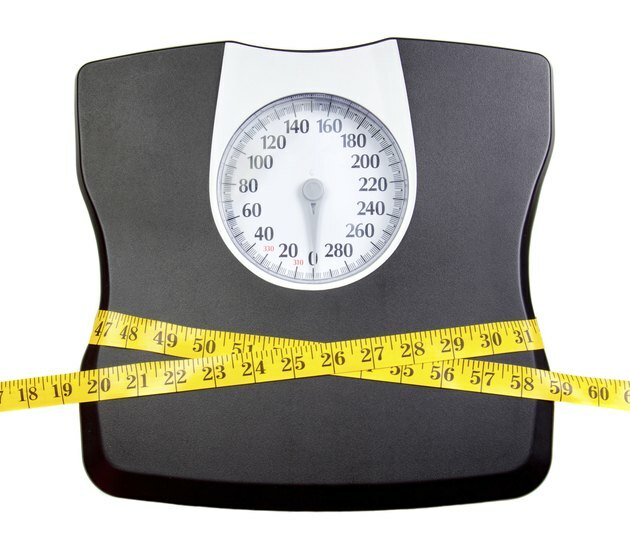 If you falter in your weight-loss efforts, weighing yourself regularly can help you get back on track sooner. Exercise five to six days per week. Cardiovascular exercise burns calories, and it temporarily increases your metabolism after you're finished, so you end up burning more calories for the rest of the day. Begin with 30 minutes every day, eventually building up to 60 as your endurance increases. Choose the most efficient cardiovascular activities. According to the Mayo Clinic, the exercises that burn the most calories per unit of time include running, rollerblading, jumping rope and tae kwon do. Other more common activities, such as high-impact aerobics and sports, are also good choices. Calculate how many calories you should eat every day to maintain your weight; see Resources for an online calculator. This lets you know how many calories you need to eat to remain the same size. Reduce your daily calorie consumption so that you're under the amount needed to maintain your weight. It's much easier to lower your daily calorie consumption by 500 than it is to burn 500 calories through exercise. Drink water instead of soda and alcohol, which are high in calories. Cut your meal portion sizes, and eat less at every meal. Eat low-calorie and low-fat foods, including fruits, vegetables and lean protein sources. Allow yourself to eat the foods you enjoy, but limit your portion sizes. Depriving yourself completely of food you like can backfire and cause you to fall off the program. Be realistic while at the same time challenging yourself. Talk to your doctor before beginning any weight-loss program.